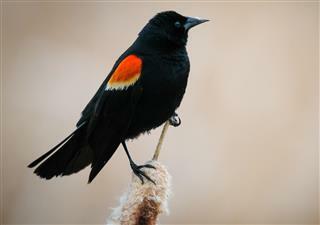 The recent incident of birds dying in Arkansas, with no possible explanation in sight, has put the whole world in a sort of dilemma. Join us as we evaluate the speculations that are being put forth as the causes of this alleged aflockalypse. While 2010 is etched on the mind of the residents of Arkansas for the devastating floods that swept across the state, the start of 2011 has not been much promising either. This time around this, the reason is not some natural disaster, but an unexplainable phenomenon, wherein thousands of birds were found dead on streets and rooftops in the city of Beebe. While many people are coming up with some or the other theories about the same―quite a few of which are related to the end of the world, none of them seem concrete enough. More importantly, the death of fish in large numbers in Arkansas and the fact that similar occurrences have been reported from other parts of the world have also added to the mystery. For the residents of Beebe, Arkansas, the New Year began on an unexpected note with thousands of red-winged blackbirds dropping dead from the sky. 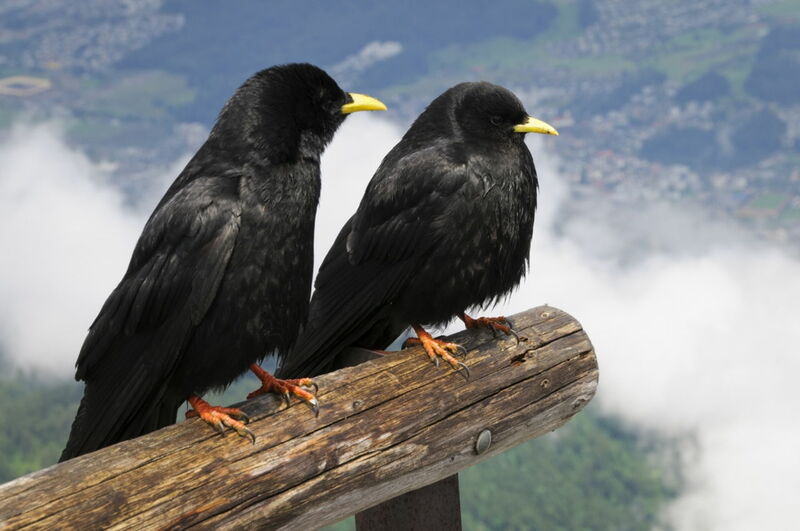 These birds were found lying all over the streets and rooftops within a radius of one mile. With the unusual event having no logical explanation, it would have been wise to wait for the autopsy reports of these birds. That, however, was not meant to be. Even before any concrete reason had been established, several news channels aired the news of birds falling dead from the sky, with their own explanations. The gullible masses had a whole lot of explanations of their own, with many people claiming that this was a sign of the approaching 2012 apocalypse. It was a matter of time before a new term was coined: aflockalypse, a prelude to apocalypse to befall mankind. Adding fuel to the fire was the death of thousands of drum fish in Arkansas. Naturally, both the incidents were linked to each other, which led to the belief that the phenomenon was a sign of the approaching 2012 disaster. With no possible explanations in sight even after a week, the phenomenon became even more mysterious. Adding to the popularity of the incident was the fact that similar incidents were reported from other parts of the world, including Italy, Sweden, England, Brazil, New Zealand, etc. Interestingly, each of these countries had a different species of birds and fish dying. Why Are These Birds Dying? As of now, there is no concrete evidence to say why birds are falling dead in Arkansas ... or any other part of the world for that matter. What we do have, are some theories about the mysterious incident. Some of the most popular theories include apocalypse, cold weather, fireworks, weapons testing, crashing into aircraft, lightning, etc. Sadly, however, none of these theories seem to pass the test of critical thinking. Though apocalypse and weapons testing seem to be the favorite theories when it comes to unexplainable phenomena, critical thinking rules them out. 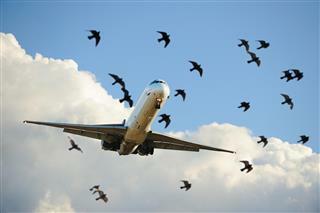 At the same time, it is impossible for thousands of birds to crash into aircraft in various parts of the world at the same time. If we take fireworks into consideration, we should have had witnessed such occurrences before as well. If it was lightning, there would have been some evidence of burns on the dead bodies. The chances of a disease cannot be ruled out, but what is this disease that has affected so many species of birds and fish in different parts of the world? Extreme cold does seem logical, but we have seen even colder times in the past, without any such occurrence being reported. The theory of poisoning does ring some bells. It is also backed by the autopsy reports of these birds, which reveal that their mouth had turned pale blue after they died. But then, how can millions of birds be poisoned at the same time in different parts of the world? The autopsy reports of these birds also suggest blunt trauma, but there is no evidence of these birds hitting something in midair. So can this trauma be attributed to the birds dashing into the ground? Then you are left wondering what made these birds dash into the ground? With so many questions left unanswered, it is difficult to come up with an explanation for this occurrence. The phenomenon, which started with the death of thousands of birds in Arkansas and eventually spread to various other parts of the world, seems to have left the world bewildered. With no logical explanation in sight, the occurrence has become a perfect tool for those who are out to prove that the world will end in 2012. Conventional wisdom says we should wait for answers instead of crying wolf supernatural. At one point of time, it was widely believed that lemmings jump into the river and commit mass suicide. Over the course of time, however, it was revealed that the alleged mass suicide of lemmings was a myth, and these rodents, despite their ability to swim, actually drowned into the river when they attempted to cross it in the course of their migration.